We are offering Internal Signage to our client. As we know that reception signage in any premises viewed by very close distance, so reception signage should be combination of well finished, creativity, and design. 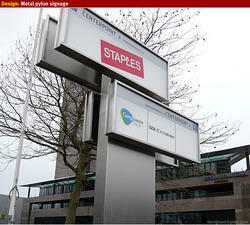 reception signage speak about nature of any corporate , and their nature of business. Here at VS ADVERTISERS we design best reception signs with actual creativity. With our vast experience in this domain, we are engaged in offering a wide range of Internal Sign. We offer floor plan, way finding signage, fire signage and parking signs for shopping malls. These signage are manufactured using stainless steel and powder coated sheets that are sourced from the reliable vendors of the market. We are amongst the prominent names in the industry, offering wide array of Internal Signage that are acclaimed for high quality and smooth finishing standards. They are functionally advanced and are delivered in varied technical configurations. We Manufacture all types of Architectural Signage. We also provide signage consultancy services. We use premium grade raw material in our production process to design the products as per the clients' requirements. Available in different specifications and dimensions, our range can be customized as per the clients' requirements. Manufactured as per the international quality standards, these products find application in various commercial sectors. 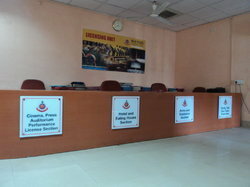 We are Dealing in Internal Signage which is one type of Sefty Signage.